If you have a mix of ages at home or just want to keep up with the Easter basket tradition, we can help you with Easter basket ideas for teenage boys. I like to fill my kids’ baskets with useful items and mix it up with a little bit of candy. They love receiving a few special treats in their basket. We found some fun Easter basket ideas in all price ranges. To save this fun list for later, be sure to “pin-it” to your Pinterest boards. Be sure to join our deals Everyday Savvy Deals Facebook group to find out about money-saving deals during the Easter season and all year long. Unicorns and Mermaids have taken over the world! If you own a Silhouette Cameo, Cricut Explore crafting machine or any other craft cutter, you will want to try some new projects with this gorgeous holographic and glitter vinyl. I can’t say enough how much I love how it sparkles and shines in the sunlight. Whether you are looking for adhesive vinyl or heat transfer vinyl, holographic and glitter will add something special to every DIY project that you do. The glitter vinyl comes in so many gorgeous colors. Pictured here is opal holographic vinyl, but there are a few other pretty hues too and when you move this vinyl, you will love the way the iridescent colors change. Hydroflask water bottles have been my absolute favorite right now. It keeps hot drinks hot and cold drinks cold for hours and hours. I bought this pretty purple Hydroflask for myself and personalized it with this opal holographic vinyl and my Silhouette Cameo 3, in less than 10 minutes. I measured the area for my decal and adjusted my name and chose a font in the Silhouette software and quickly cut my decal. I cleaned my water bottle with windex to remove any dust particles and then used clear transfer tape to adhere my decal. My kids were having fun moving my water bottle around in the light to see the different iridescent colors of the decal. Adhesive vinyl is sticky on the back and great for projects like personalizing cups, waterbottles, signs, jewelry or makeup trays and more. You will also need transfer tape to lift the vinyl off of the backing and it helps keep the pieces of your cut in place and transfer your decal to your project. I used Opal adhesive vinyl in the above project and transfered my decal with clear transfer tape. If you are having issues with your vinyl releasing from your transfer tape, de-sticky the transfer tape, on a tee shirt before placing it over your decal. The lint from your shirt will make your transfer tape less sticky and your decal will release easier. I buy my transfer tape in 100 foot rolls and it has lasted me for years. Holographic vinyl and light-colored glitter vinyl stands out the most when personalizing darker objects. My waterbottle is a deep purple so the holographic vinyl really pops. Holographic vinyl and light-colored glitter vinyl doesn’t show up as well on glass or lighter projects, but it still can have a fun effect! I sometimes cut a small piece of vinyl and place it on my object to get an idea of how the colors will look together, then remove it afterwards. I buy transfer tape in large rolls in the 6 inch width. You can cut it to size for smaller decals or I layer it for larger designs. If your transfer tape is overly sticky and won’t release your vinyl to your item, de-sticky it on a t-shirt or a pair of jeans before you place it over your decal. I like to test the vinyl with the transfer tape to make sure it will release easily before cutting a large design. You can also burnish your vinyl to using your fingers or a scraper to get your vinyl to adhere better before removing the transfer tape. Below are suggesting settings for your adhesive vinyl. It is important to do a “test cut” on your materials to make sure it will cut properly before you go ahead and cut your entire design. This helps you to not waste your expensive vinyl! You can also get holographic vinyl and glitter vinyl in heat transfer vinyl, which is best for fabric garments like t-shirts, tote bags, etc. Most heat transfer vinyl is cut in the reverse or mirrored, meaning you need to flip your design in your cutting software before cutting. When you place your material on your cutting mat, you will need to place the shiny side down on the mat. Glitter and holographic vinyl can be hard to weed (remove the negative material) because of the pattern in the design. After your design has been cut, you can gently bend the cut material backwards to allow the lines to pop up, use a lightboard to weed or some have had luck sprinkling baby powder on the dull side to reveal the cut lines. Glitter and holographic material can be pressed with a heat press for the best results or an iron. Holographic and glitter HTV often has different pressing instructions than regular HTV and can be a little trickier to get a good press and some holographics can be stubborn. Be sure and follow the directions you receive with the material that you purchase. If you need more tips on pressing or ironing HTV, check out my other article: Getting Started with Vinyl for Electronic Cutting Machines. Below are suggesting settings for your heat transfer vinyl. It is important to do a “test cut” on your materials to make sure it will cut properly before you go ahead and cut your entire design. This helps you to not waste your expensive vinyl! If you only shop online when there’s free shipping, this your day to shop! It’s the 10th annual Free Shipping Day, and hundreds of retailers waive shipping fees on all orders. This made-up shopping holiday started in 2008, and it has grown in popularity each year. Last year, more than 1,200 retailers participated. Here are a few of my favorite stores which offer free shipping today. Just click on store name to check out the sales and deals. 6pm.com – Last Minute Gifts up to 70% off and FREE shipping on 2 items or over $50. Amazon – Last Minute Deals – All orders of $25 or more of eligible items across any product category qualify for FREE Shipping. Some items may have additional options for qualifying for FREE Shipping. Gap – National Free Shipping Day on all orders at Gap. Last-minute gifts with delivery by 12/22. Use code SHIPDAY. Stack code GIFTNOW for an extra 20% off including sale items. Kendra Scott – Free 2 day business shipping. Get it fast! Kohls – Save 20% on orders over $100 with code SAVEMORE20 or 15% off orders under $100 – Free Shipping on Orders over $50 or free pick up in store. – There are a few Capsule Wardrobes from Kohls you can grab at a discount. Loft – 50% Off Everything with code WRAPITUP. Free shipping over $125. Wondering what to get at Loft? Check out these mix and match outfits! Nordstrom– FREE shipping or if you order online they will even bring it out to your car! Lots of new markdowns too. Old Navy – 25% Off your Old Navy order or 35% Off your Old Navy order of $75 or more. Use code ENJOY. Free Shipping on all Orders at Old Navy with no minimum use code SHIPDAY Need some ideas on clothing check out our capsule wardrobes. Rent The Runway – 20% off your first order or first month of Unlimited with code FIRSTRTR. This is great for upcoming Holiday parties & New Year’s Eve! S’Well – For a limited time only, the more you shop, the more you save—and the more you get to share. GET 15% OFF when you spend $50 or more. GET 20% OFF when you spend $100 or more. GET 25% OFF when you spend $200 or more. Plus FREE shipping on all US orders. Tea Collection -Tea Collection is offering 20% off everything Tea + totally free shipping on all orders over $50 .Use the code JOLLY or get free express shipping. Timberland -Get free 3-day shipping + free returns. Tory Burch -Free shipping on every order. The best coupon is the 15% Boden and mini Boden coupon code that also includes FREE shipping and FREE returns on order over $49. Just click through link and then enter coupon code 3XNK. This coupon code good through 9/23. See my favorites for Fall Clothing from Boden and Mini Boden here. Target has lots of incredible Black Friday deals this year! Their sale begins at 6pm on Thursday, November 24. There is a good chance that many of these sales will go live earlier than this online at Target.com and it will even include the gift card offer. Plus as we get closer Amazon probably will match many of these prices. That is why I gave you the Amazon link for each item as well. As I checked Amazon already is matching the prices or is close on some items. So no need to fit the crowds. I tried to match up the exact same item but sometimes it is just close. It should be helpful though. Be sure to pin or bookmark this post and come back closer to Black Friday. The Amazon reviews are great to read and see if the product is something you would like to purchase. Walmart has lots of great Black Friday deals this year! Their sale begins at 6pm on Thursday, November 26. 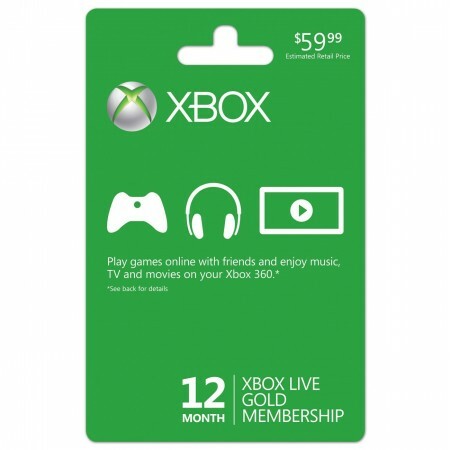 There is a good chance that many of these sales will go live earlier than this online at Walmart.com and it will even include the gift card offer. Plus as we get closer Amazon probably will match many of these prices. That is why I gave you the Amazon link for each item as well. As I checked Amazon already is matching the prices on some items. If you would like to see the Walmart Black Friday ad you can find it here. My kids exchange cards and candy with classmates at school on Valentine’s Day. We end up with alot of candy and so I find that I don’t want to give them even more candy, but I would like to get them a little something special to celebrate Valentine’s Day. We have found several cute, non-candy, Valentine’s day gift ideas for kids on this list. If you are a crafter, the Silhouette Cameo Electronic Papercutter is a must-have machine. It uses digital images from your computer and uses a small blade to cut paper, vinyl, vellum and fabric. It can cut up to 12 inches and 10 feet long. Just plug this machine into your computer and use the included software to start crafting! What sets this machine apart is it’s ability to print and cut. You can design a label on your Silhouette Studio Software and print it on your home printer. The Cameo has a special sensor that tells it how to cut around your label after it’s printed on your home computer. So cool! The Silhouette Portrait machine is similar to the Cameo, but just has a little bit smaller cutting area. Silhouette also has the newer Mint machine and the Curio machine. The Mint will help you create your own custom stamps and the Curio will cut and accommodate thicker materials. From now until December 4, 2015, Silhouette has some exciting deals for Black Friday with machine bundles starting at just $99 and all other Silhouette products at 40% off. Use coupon code: BARGAIN to get these prices. Shipping is free for orders of $50 or more to the contiguous United States. If you need more gift ideas, then check out our great gift ideas page. We will be adding more gift ideas and holiday shopping tips all month. Be sure to sign up for our free newsletter so all the updates comes right your inbox. The knock offs are no longer available but you can grab them for 25% off and stack an extra 20% off coupon now! Check out Kendra Scott Sale and extra 20% off coupon code here. I have been seeing tons of super cute outfits online lately paired with the Kendra Scott Rayne Necklace and the Stella & Dot Kimberly Necklace. I have been considering buying both but they are pricy. That is why I was ecstatic to see knockoffs of both necklaces on Jane today. I just found a new Kendra Scott knockoff necklace at Groopdealz for just $8.99!!!! The end of season Boden sale has just started! Plus you can get FREE shipping on orders over $49. This is great because in the past Boden has never offered free shipping on the first day of the sale. This is a great time to stock up with amazing prices. Shop Boden and Mini Boden Sale Up to 50% Off Plus FREE Shipping on Orders Over $49! It’s Memorial Day Weekend and you know what that means tons of sales. I have rounded up all the sales and coupon codes for you into a HUGE list of memorial day sales. You don’t need to even head to the store just shop online and enjoy your Memorial Day weekend with family & friends. Be sure check out our capsule wardrobes that are a steal with these sales!! Athleta – Starting 5/22: Spend More. Save More. Use code HEATINGUP at Athleta. Ends 5/25. Cardstore – All Cards only $0.99! Use code: DDCCG5099. Valid 5/22-5/25. Cents of Style – Fashion Friday- 5/22/15- Jewelry- 60% off, Plus FREE Sunglasses w/ purchase of 3 with the coupon code BRIGHT. Crazy8 – 50% off regular priced items and 30% off sale items. Crocs – Customers can take 25% off sitewide with code SALUTE at Crocs.com! Discount can be used on sale items as well. Offer good 5/21 – 5/25. Eleventh Avenue – Take an extra 20% off with coupon code memorial20. EXPRESS – (5/22-5/25) Memorial Day Sale! 40% Off Everything In-store and Online at Express.com! Janie & Jack – Through Monday, shoppers can get an extra 20% off markdowns for savings up to 50%. Lands End – 5/21-5/25 only Receive 30% off your order at Lands’ End. Use code THRILL and pin 4110. Loft – 40% off everything Be sure to check out the Loft capsule wardrobes at 40% off! Old Navy – Entire store up to 50% off plus and extra 20% off everything Be sure to check out the Old Navy capsule wardrobes with these big savings! Target – 30% off clothing and accessories with coupon code MEM30 and 30% off home with coupon code HERO . Be sure to check out the Target capsule wardrobes with these big savings! Toms – Free shipping on all orders. Ends May 24. Are you a Kroger Plus member and always looking for great deals? Right now May 13 through May 19th you can receive a great deal on frozen meals at Kroger when you use your Kroger Plus card. This is a #FrozenMustBuy! You can buy single-serve Healthy Choice, Marie Callender’s and Bertolli meals and desserts for $1.49 each when you buy any SIX! These prices are so low that you can stock your freezer for the whole Summer! These are great to have on hand for these busy last weeks of school when you are all on the go. You can give yourself a break occasionally with a quick easy and very affordable frozen meal. This great deal at any of the following Kroger banner stores below. Be sue to sign up for a Membership Plus card in any Kroger store to take advantage of this incredible deal. This promotion ends May 19th and only while supplies last! I know many of you are huge fans of Frye boots. These are not inexpensive boots but I found a way you can get them almost 50% off! Plus lots of other shoes, sandals and purses on sale plus stackable coupon! What a hot deal on this Razor 360 Flash Rider . It is currently priced at just $49 with free shipping, which is the best price I have seen outside of the holidays. This would be a perfect and fun birthday gift for kids age 4 and up. The best part about this trike is that it’s fun for younger and older kids as it’s 360 action makes it so much fun. My son got a Razor Riprider for Christmas a few years back, but all of my kids love it and my 14-year old neighbor will even take a turn. This trike has a 160 lb weight limit and it is fun for ages 4-12. If you have never seen one of these in action, you peddle them like a regular trike, only you can do cool tricks, including 360 turns and the flashrider sparks too. It has a rugged all-steel frame and the rear castors allow resistance-free drifting and spinning. 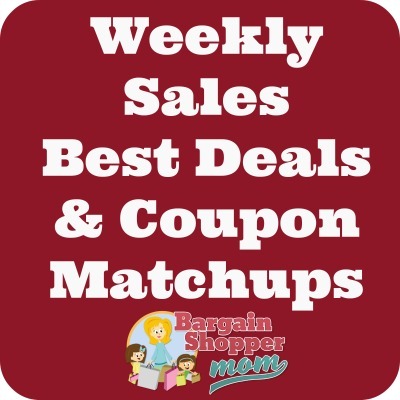 Here are this week’s sales and coupon matchups. These pages will help you find the best deals this week. Plus they will also help you find the coupons that match up with the sale so you can get the best deals this week. Need help learning how to save money at the grocery store? Check out How to Save 50% Off on Your Groceries in Under an Hour a week. The stars indicate the items that have the best prices this week. The tab on top of the sale pages let you switch between the different sale periods. Playing school has never been so much fun! Learning Resources is known for quality toys and the Learning Resources Pretend & Play School Set does not disappoint. My daughter received this set several Christmases ago and it was a big hit! She was age 8 at the time and I would definitely recommend it for children ages 6-9. She spends hours playing teacher and her brothers don’t mind being the pupils. I love that they are using their imagination. The Learning Resources Pretend & Play School Set includes a pop-up classroom, a pointer for “teaching”, a bell to ring, hall passes, a whiteboard and so much more! When your child is done playing school, it folds up neatly with a closure and has two carrying handles. It’s currently 57% off for just $15.84. This is one of the lowest price I have seen for this highly-reviewed set. If your order totals $35 or more, it will ship for free.